Many Saharawis would like to leave Tindouf, but cannot. Those who express such a desire find their family members have been moved to other camps and/or their children sent to Cuba. 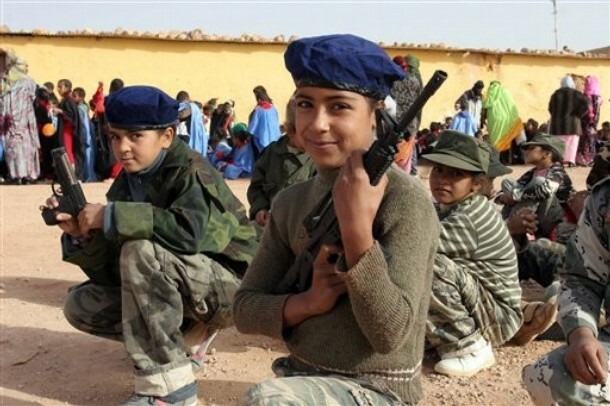 This effectively ensures that they remain in the camps, as hostages, and that they continue to comply with the Polisario's regime and dictats, while waiting and hoping to be re-united with their spouses and/or children. This contravenes Articles 11, 19 and 35 of the Convention on the Rights of the Child. Under the auspices of the United Nations' confidence building measures, visits between family members detained in Tindouf and their families in Morocco have been undertaken, but the Algerian-backed Polisario leadership never allow more than one family member to leave for a short visit, thereby ensuring that the family member will return to Tindouf. A few Saharawi Refugees managed to escape from the camps this summer (2007) and described the hardships and brutality which exists in the camps. They attest to the corruption of the Polisario leadership and their use of food, particularly baby milk, water and basic foodstuffs, as a means of extortion and exploitation.